Using one of the most unusual materials you could imagine, artist Anna Dumitriu transforms superbugs into unique items of clothing. The artist sterilizes strains of deadly bugs that kill tens of thousands of people across the US each year. She then uses the strains to embroider into dresses and quilts. Her work has a fascinating concept behind it, exploring the complex relationship between humans and bacteria. For the last 20 years Dumitriu has been working with medical microbiologists. 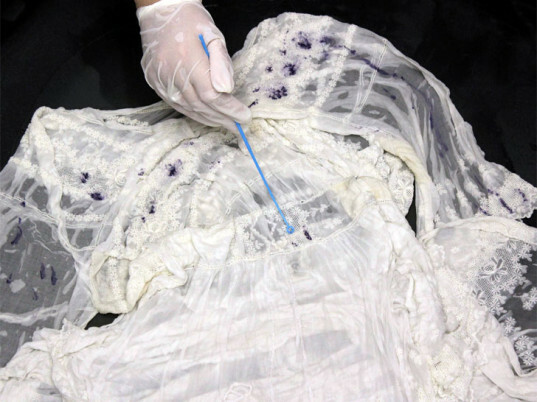 Investigating where to position bacterial biology’s within the field of science and art, her work bridges the gap by embedding deadly bacteria within the cloth. The colors and styles of the items reflect very significant moments in the evolution of superbugs. “The MRSA Quilt” is a storytelling quilt Dumitriu by growing the actual MRSA bacteria (Methicillan Resistant Staphylococcus aureus) onto fabric. Dumitriu says this has been embedded in chromogenic (colour changing) agar. The patterns, she says, are created through its interplay with various tools and techniques in the treatment and diagnosis of this famous ‘superbug’. 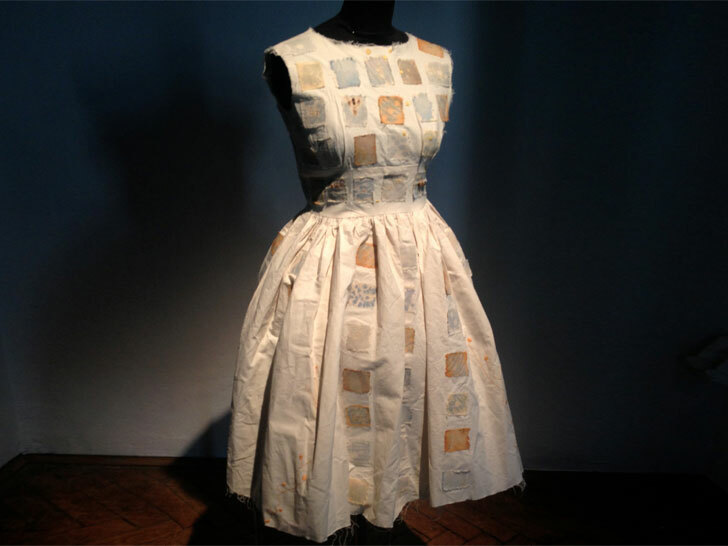 Another work is called “The VRSA Dress” that maps the evolution of Staphylococcus aureus from its non drug resistant form Dumitriu cultured herself, through MRSA to the terrifying Vancomycin Resistant Staphylococcus aureus. This drug has developed such a high level of antibiotic resistance that it can withstand even our ‘last chance’ antibiotics. These ideas are an incredibly unique way of looking at superbugs, and are certainly a material that few would want to work with. This is so crazy cool. It doesn't take talent to create antibiotic resistance microbes, but it does take foresight and self-awareness to live up to the Hippocratic oath.